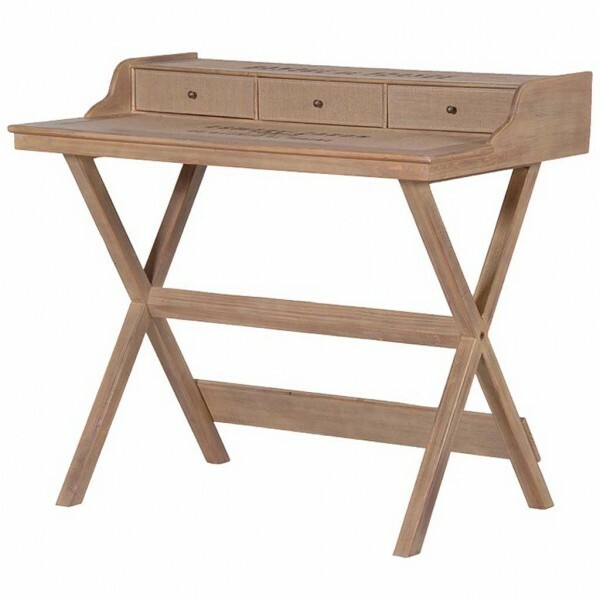 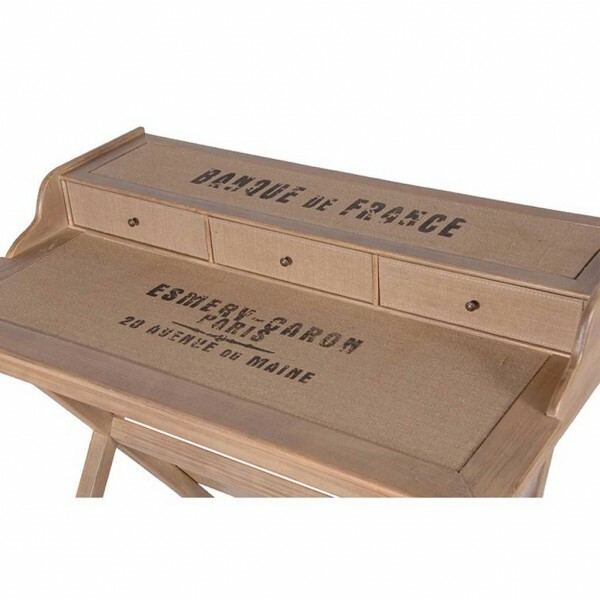 This simple classic desk is designed with an X-frame with a light limed finish which gives this desk a vintage feel. 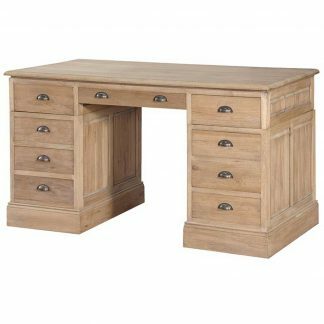 It features a vintage writing print on the top of the desk, plus three small top stationary drawers with knob button handles. 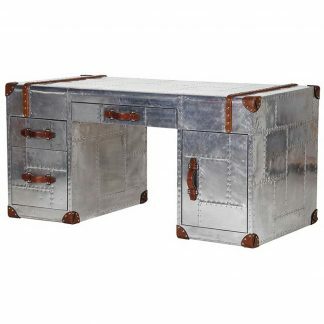 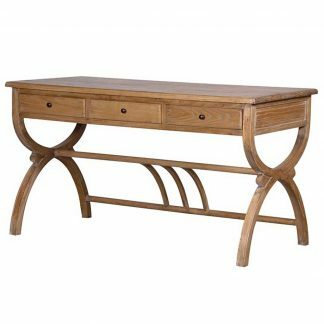 This desk is versatile enough to suit most styles of decor.